Children will identify with Leo and grasp the importance of believing in themselves as they follow Leo’s adventure to make his very own light. 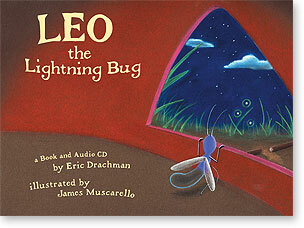 The other lightning bugs tease him, but with determination, motherly support, and a little luck, Leo eventually lights up in the night. Transformed by his newfound confidence, he now laughs at himself, plays with the others, and enjoys a good night’s sleep!